There is no argument when it comes to what is the most iconic peak in Rocky Mountain National Park. Without question 14,259 ft Longs Peak is the crown jewel of Rocky Mountain National Park. 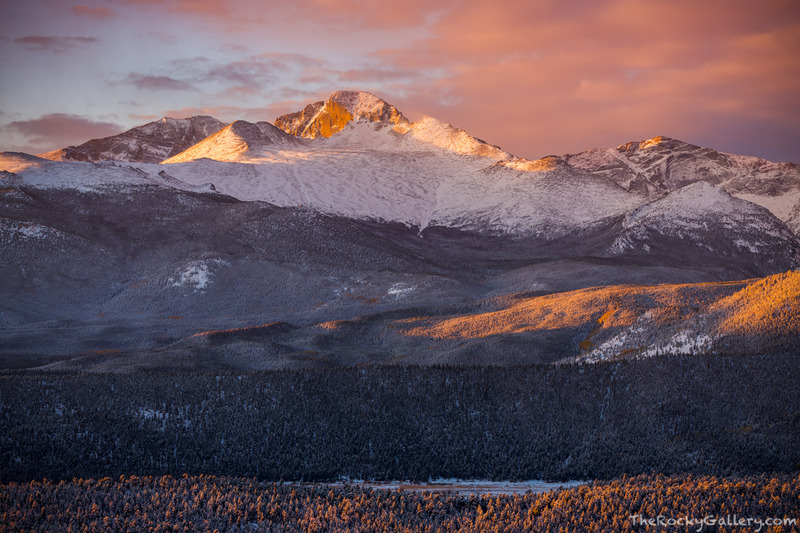 With its spectacular northeast face known as The Diamond shining down on RMNP, sunrise illuminates Longs Peak and Chiefs Heads Peak as an October snowstorm moves out from Colorado. Photo © copyright by Thomas Mangan.